Hello my lovely readers! 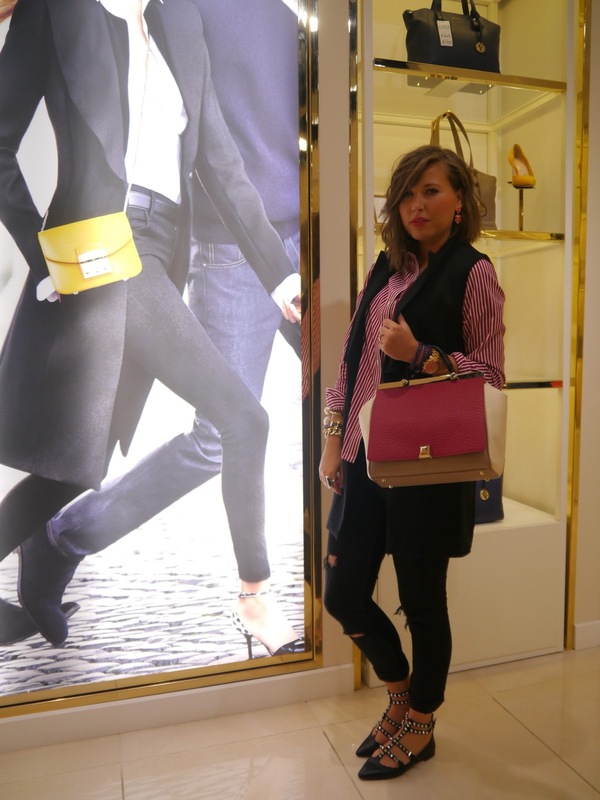 My today’s blog post about an amazing Italian brand Furla and my recent visit to the brand’s shinny store located at Cheshire Oaks Designer Outlet HERE . On Tuesday I was very lucky to be invited by the outlet’s lovely team to visit Furla store and choose a bag to style in 3 different looks. If you are not familiar with the brand, it is time to discover this season hottest Italian bags and to fall in love with the Candy collection (coloured “jelly” bags), Pipper bag Here and Furla Fantasia SS16 maxi clutch Here , they are too cute to pass up! 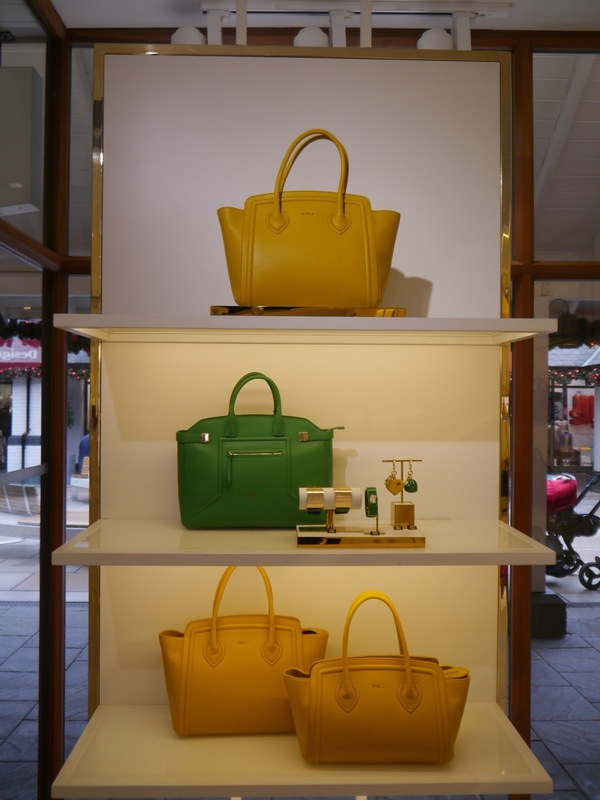 If you’re a Furla loyalist, you will be pleasantly surprised by the new collection, which features lots of textured leather, and gorgeous colors, staying true to the brand. 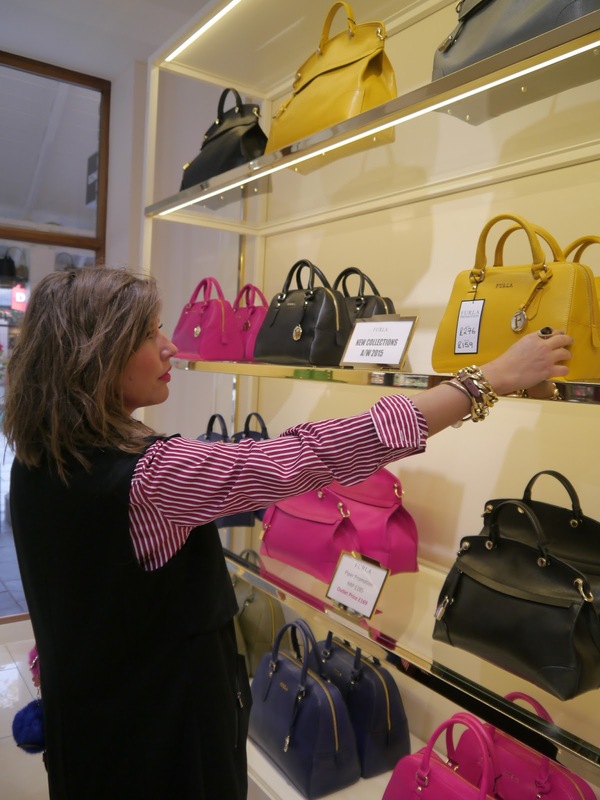 There’s something for everyone at the store, including mini handbags, keychains, belts, and shoes. I was spoiled for choice but with the help of the friendly staff ( special thank you to Zoe) I finally decided to take home Furla Cortina leather top handle satchel. It is a super classy leather bag which I also had seen on Olivia Palermo. I can’t wait to style it and show you all my looks here! Also stay tuned for my giveaway which I will announce next week! 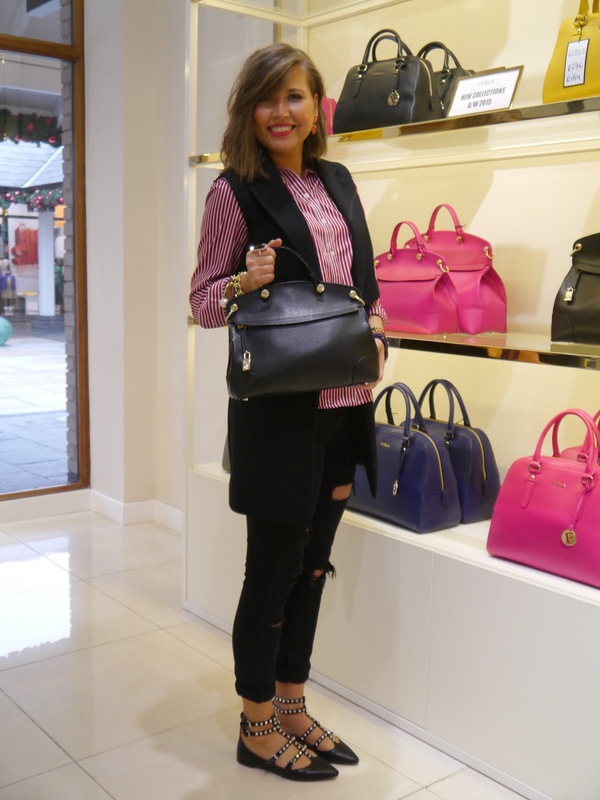 Just in time for Christmas you can win a Furla bag!! Thank you for stopping by, I’ll speak with you all in my next blog post. The bags are gorgeous I love Furla! Lucky girl 😉 I'm going to Cheshire Oaks tomorrow actually so I'll be sure to pay a visit! Looking forward to seeing how your style it! WOW great post!!! I'm a massive fan of Furla! Hopefully i will win! This looks amazing ! I will definitely enter the comp! Well done! We are loving your style ! And we started following your blog now ! Oow gorgeous bags. I love the one that you picked out. They are all so pretty.